16-page fully illustrated how-to's. 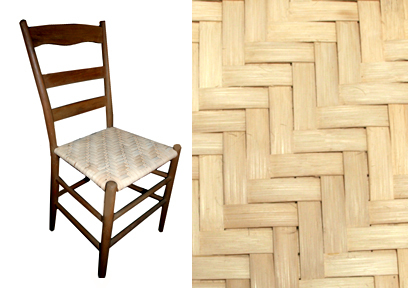 Get this booklet for re-weaving chairs in herringbone pattern with 1/2" flat reeds. The pattern is herringbone. Click on chair image to see pattern weave. 16-page Splint Weaving Booklet with fully illustrated how-to's. Get this booklet for re-weaving chairs in herringbone pattern with 1/2" flat reeds. One pound will weave an average seat such as the one illustration.